SACRAMENTO – Teresa Darlene Dunn, 55, of Sacramento, died Friday, March 1, 2013 at Baptist Health Madisonville. 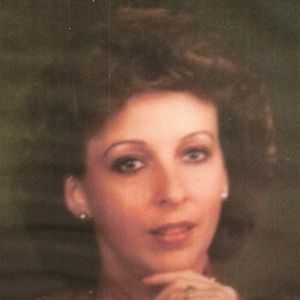 She was born January 12, 1958 in Muhlenberg County, was employed in Financial Services at Regional Medical Central in Madisonville and was a member of the Lifeway Baptist Church in Central City. She is preceded in death by son, Rois Matheny. Survivors include her husband, Glenn Dunn of Sacramento, sons, Anthony G. (Alexia) Dunn of Troy, IN and Glenn Ed Dunn of Bremen, grandchildren, Kailee Dunn, Elijah Dunn, Nathan Dunn, Joseph Dunn and Jacob Dunn, her parents, James and Ila Williams of Greenville, brother, Kevin(Greg)Williams of Louisville, a sister, Katrina Galyen of Greenville and several nieces and nephews. Funeral services will be held at 1:00 PM on Monday, March 4, 2013 at Tucker Funeral Home in Central City, conducted by Rev. Robert Pierce and Rev. Danny Greene with burial to follow in Bethlehem Cemetery in Bremen. Visitation will be Sunday from 3:00 PM to 8:00 PM and after 11:00 AM on Monday at the funeral home. The beautiful and interactive Eternal Tribute tells Teresa 's life story the way it deserves to be told in words, pictures and video. anyone new and she was always smiling. My dear friend Teresa Dunn. I have many fond memories of Teresa that I will always hold near and dear in my heart. To the Dunn and Williams family please know that my heart breaks for u all. I didn't get to come and pay my respcts to Teresa but I will remember her as the last time I saw her,with that big smile and hug !!! RIP my friend. What a wonderful Lady and person! She was someone I looked up too, and respected so much, she always showed her fruits of the spirit of God by her love and kindness. My family loves the entire family and will always miss the gentle kindness of Teresa. Although our heart are broken, We know that she is with her son, and God, and is happy and joyful. Parents, Glen and family, we love you and your in our prayers!!! Our thoughts and prayers are with you all. We know what a difficult loss this is for you all. Teresa was a beautiful person inside and out and will be greatly missed. Teresa was a beautiful person in every way. We shared many good times together all through our school years at Graham. She maintained her sweetness through all these years and through all the trials of this life. To Glenn, James, Ila, Katrina, Kevin, and the entire family, I send my love and prayers. Always such expressions of love and encouragement that I remember from Teresa. I remember when Rois passed away, her words to me were, don't give up on your daughter, just keep praying. So, instead of me comforting her, she started right in encouraging me about my worries with my daughter. What a magnificent woman of god. I loved this woman dearly. She will be greatly missed. I'm thinking of you Ila & James. Look to God for comfort. Although I have been gone from Madisonville and RMC for over 10 years, I still remember what a great person Teresa was. I didn't work directly with her, but just running into her and seeing her she always brightened your day. The Family is in my prayers. It's a pleasure to have known you Teresa. You was a great lady. All that knew you loved you. I will always remember you.